Premium pick-up with car-like refinement and comfort, quiet engines, 3.5 tonne towing capacity. Expensive to buy new, high running costs, interior quality not quite up to Mercedes-Benz car standards. 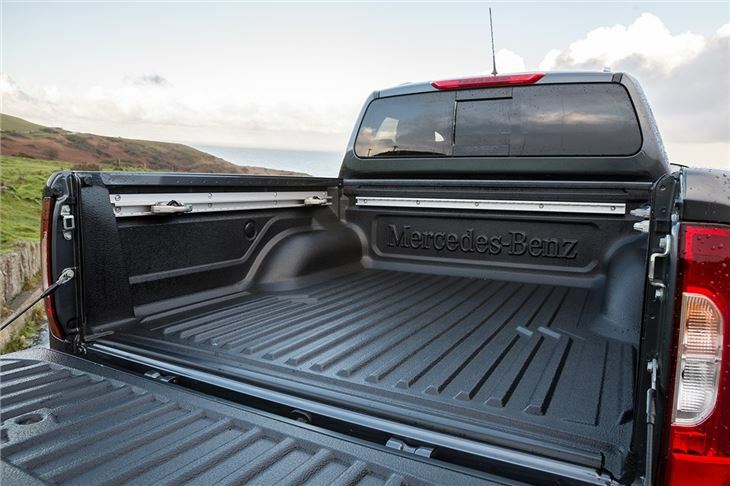 Good to drive, practical and unashamedly expensive, the Mercedes-Benz X-Class adds a touch of premium refinement and exclusivity to the rugged world of one-tonne pick-ups. 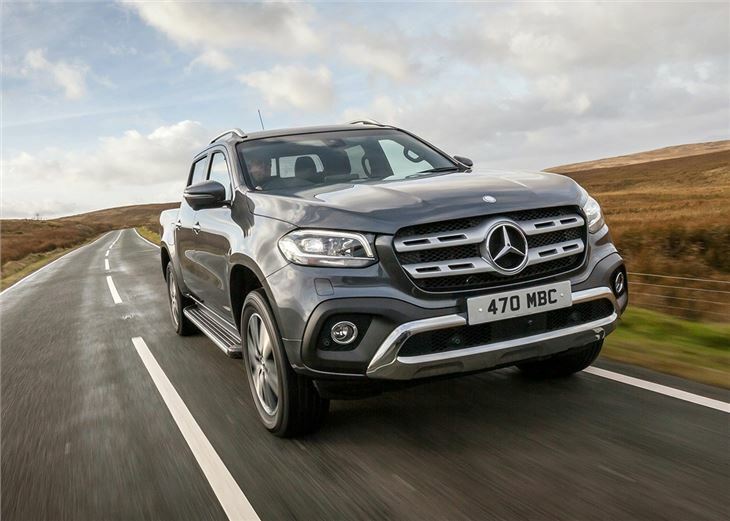 The air of exclusivity is evident from the moment you first clamp eyes on the Mercedes-Benz X-Class; the front end is dominated by a huge three-pointed star, which sits in the middle of an equally large and imposing grille. Make no mistake, this looks every inch a Mercedes-Benz - albeit one that’s based on the underpinnings of the Nissan Navara. Indeed, peer under the metal of the X-Class and you’ll find that the platform, engines and transmissions are all shared with the Navara. This means the X-Class is built for hard graft. It also gets the same sophisticated suspension set-up as the Nissan, which means it has a smooth, car-like ride quality. 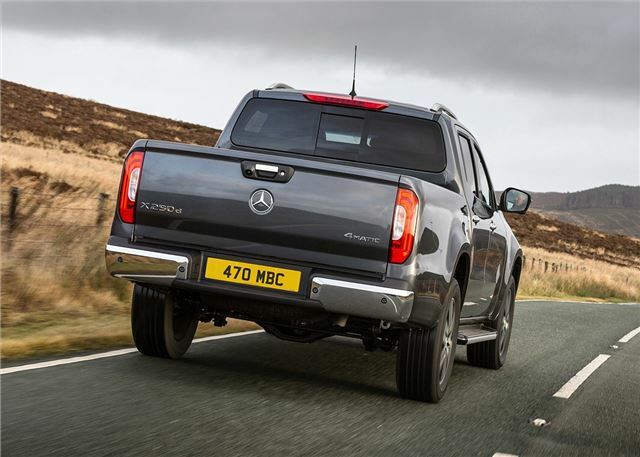 When it comes to shifting huge loads, the X-Class matches the best with a one-tonne payload and 3.5 tonne braked towing capacity. It has some neat features too, with a built-in bumper step - that allows you to load/unload without opening the tail gate - and a brake light that doubles up as a worklight to illuminate the loadbed at night. 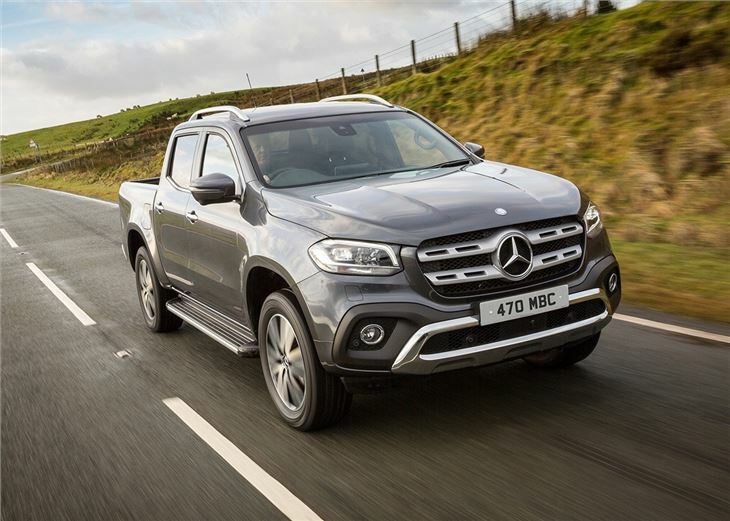 The X-Class is great to drive on the road, with car-like handling and supple suspension that wouldn't feel amiss in a premium family SUV. The steering, for example, is smooth and precise, while engine, road and wind noise has all been reduced to a hushed rumble. 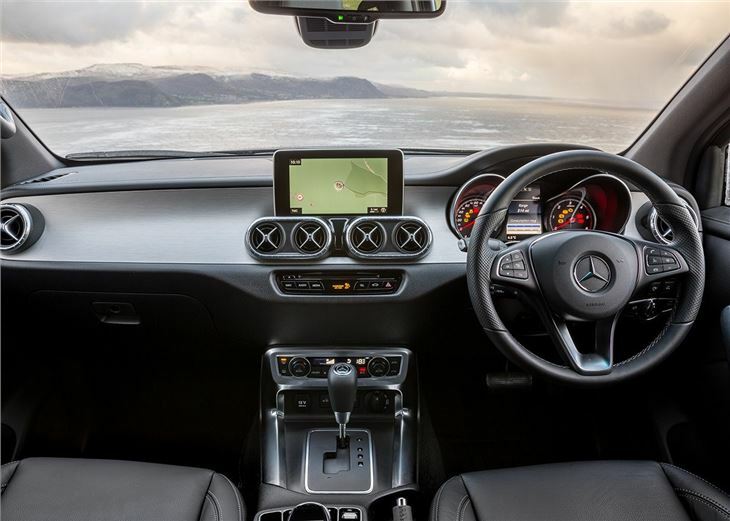 What’s more, if you want to head off-road, there is a whole raft of tech at your fingertips, including a four-wheel drive system that can be activated on the move via a rotary dial situated above the gearstick. 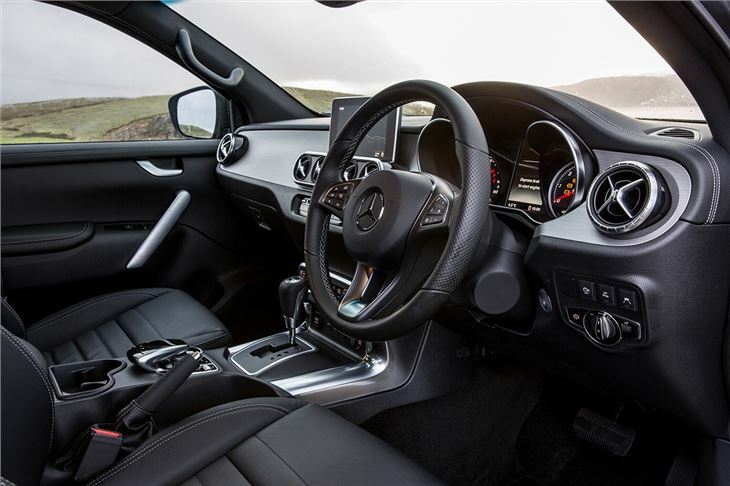 The cabin is high in quality for a pick-up, but not on par with the Mercedes-Benz car range. And nor should it be, owing to the fact that the X-Class is effectively a working vehicle. This means hard wearing plastics are common, but there are also plenty of premium touches, with leather seats, wood trims and stitched dashboard covers. Given the shared tech, it would be easy to criticise the X-Class as an expensive, facelifted Navara; however, this would be extremely unfair because the Mercedes-Benz genuinely feels very different to the Nissan. Good to drive, refined and stylish, it's one of the best pick-ups on the market. Admittedly, the price point is huge, but if you can afford it then Mercedes-Benz X-Class won’t disappointed.